The original Steampunk design by Art Donovan, 2007, featured in the world's first Steampunk Art exhibition in August 2008 and again at The Museum of the History of Science, Oxford University, UK. 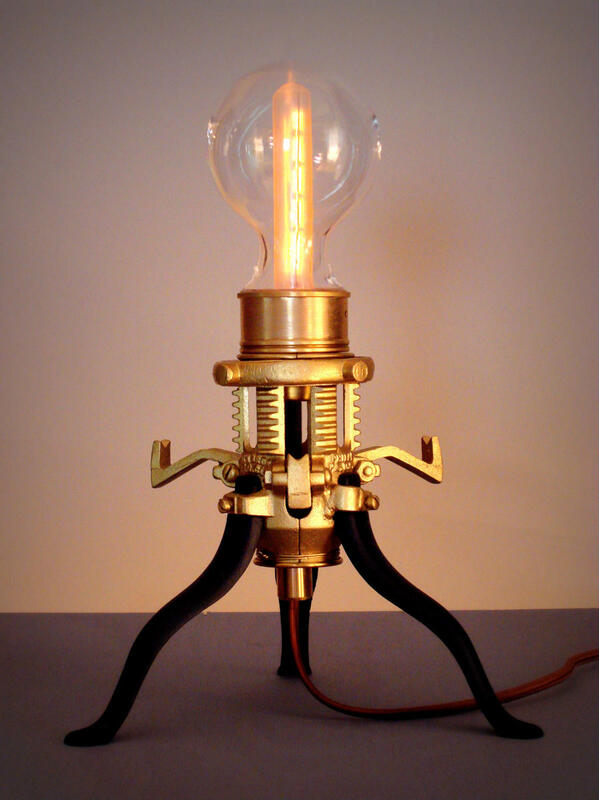 One of the most influential and highly imitated steampunk lamp designs in the genre. Also, See the new Model #2 in the thumbnails here. It features a larger dome with a modified, perforated shield on the flame bulb and added details. Brass. Glass. Iron. Antique electrical cord.